Whether you're looking to firm the neck, lift the brow or minimize fine lines and wrinkles, Crystal Canyon ENT & FPS offers it all. Call today to schedule your consultation! Skin Resurfacing - chemical peels, microdermabrasion, laser. Dermal fillers are a non-surgical, non-invasive injection of crystal-clear gel that lifts and smooth’s facial wrinkles and folds. These treatments work by stimulating your body to grow more collagen, allowing the rebuilding of the collagen structure lost by the aging process. 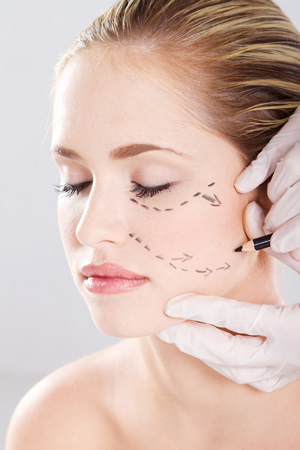 Skin resurfacing removes and rejuvenates the outermost layer of skin, helping to soften fine lines and wrinkles. What are Restylane and Perlane? The Restylane family of products includes Restylane and Perlane. Both are cosmetic dermal fillers that replace lost volume and restore youthful contours to the skin to smooth away moderate to severe facial wrinkles and folds, such as the lines from your nose to the corners of your mouth (nasolabial folds). You don’t have to. In clinical trials, Restylane and Perlane were used in the same patients. The hyaluronic acid in both products is made by the same biotechnical process. The difference in the gel is the particle size. Perlane gel particles are larger and designed for deeper injection than Restylane. Your doctor will help you decide which product is right for you. Restylane products are proven to deliver long-lasting results. Restylane lasts about six months. Perlane lasts at least six months, in a majority of patients. Are Restylane and Perlane FDA approved? Yes. They are approved by the FDA for the treatment of moderate to severe facial wrinkles and folds. Ask your physician whether treatment is right for you. Since most insurance companies do not cover the costs associated with these procedures, we recommend contacting our office for a consultation.